The band has headlined the first DIY Bushwick Music Festival, performing in alternative Do-It-Yourself spaces. The band also has an impressive performance resume. 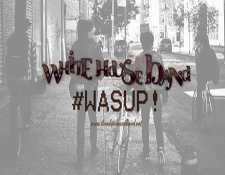 Check out TheWhiteHouseBand.net for more music, tour dates and more. The video below showcases the band performing at Crash Mansion.